In 2004, American citizen Fahad Hashmi, raised in Flushing, New York since the age of three, let a "friend of a friend" crash at his apartment in London. Fahad was in graduate school, and, at the request of his friend, Fahad agreed to to let the acquaintance stay for a couple of weeks. He had only met the man once. The guest brought two suitcases which sat in a corner of the apartment, unopened, for the entire stay. Then, in June of 2006, a bewildered Fahad Hashmi was arrested on a warrant from the US, and extradited. The charges? Unbeknownst to Fahad, and according to the US government, the suitcases in the corner contained a number of raincoats, ponchos, and waterproof socks which the house guest, months later, passed on to an alleged Al Qaeda operative in Pakistan. There was not, and never has been, any allegation that Fahad is a member of al Qaeda. He maintained that he barely knew his house guest, and never knew what was in the suitcases in the corner. At the time of his arrest, the US never alleged that Fahad had helped transfer money, weapons, or any other items beyond the rain gear and socks, which, again, he said he knew nothing about. Nevertheless, Fahad was held in solitary confinement for three years before his trial, under a new law passed under George W. Bush called Special Administrative Measures (SAMs.) Although prolonged solitary confinement has been deemed "cruel and unusual" and therefore unconstitutional by numerous US and international courts, SAMs is seen as an end-run around the law. Fahad was confined to his small cell for 23 out of 24 hours each day, allowed no human contact beyond rare contact with his prison guards, his lawyer, and one short visit from a family member every two weeks. For one hour each day he was allowed out of his cell to exercise in a cage resembling a dog kennel. SAMs provides for severely limited and restricted reading material, left to the warden's discretion. Special Administrative Measures provides for no radio, no television, newspapers, nor any other material which might help mark the passing of time. This took place for three years before Fahad's trial, before he had been convicted of anything. The sole witness at Fahad's trial was to be none other than the errant house guest himself, by now convicted on assistance to terrorism charges and facing 70 years in prison. Junaid Babar had agreed to testify against Fahad in exchange for a substantially shorter sentence. Babar claimed that, in addition to the socks and rain-gear, he had received money from Fahad, and had used his cellphone to call his Al Qaeda associates. "...can lead to severe psychiatric trauma and harms like psychosis, distortion of reality, hallucinations, mass anxiety and acute confusion. Essentially, the mind disintegrates." As Fahad's solitary confinement wore on, his demeaner began to change. Professor Jeanne Theoharis, who taught Fahad at Brooklyn City College, noted that while previously in court proceedings Fahad's mannerism and attention span seemed "rock solid," later he seemed to be "retreating into his own head." Finally, just before his trial was to begin, and facing 70 years of what he thought might be further solitary confinement, Fahad pleaded guilty to the government's charge of material support for terrorism. When asked by Judge Loretta Preska if he understood he was guilty, and if he was pleading guilty "because you are in fact guilty," Fahad answered: "Praise be to God, yes." 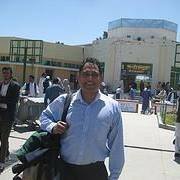 Fahad Hashmi was sentenced to 15 years in federal supermax prison, ADX, in Florence, Colorado. Fahad's pre-trial detention conditions were renewed in ADX supermax by Attorney General Eric Holder. "A critic of U.S. foreign policy and its treatment of Muslims, he held the rather optimistic view that you could change people's minds by talking and arguing with them. He could often be found in the hall before and after class debating other students. For my seminar, he wrote a research paper on the abridgment of the civil liberties of Muslim-American groups in the United States after 9/11." "He was so earnest, so outspoken. My instinct was that there's no way this is not about politics." In fact, it emerged later that Fahad was indeed under surveillance for his political activities. According to Professor Theoharis, the government was prepared to introduce tapes of his activism as a college student, "years before Babar's visit to his apartment." Fahar had attended and spoke at numerous demonstrations opposing the Iraq war and the treatment of Muslim communities in the US and UK. 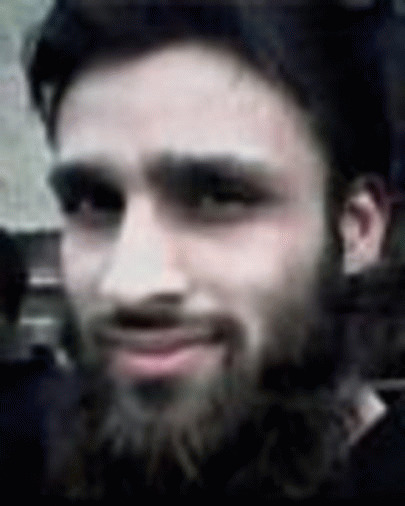 In the meantime, the house guest Junaid Babar, whom even the leftist UK Guardian describes as a true terrorist, having helped set up the training camp for the London bombings on June 7, 2005, was released after serving less than 5 years of his 70-year sentence. Babar left prison still openly advocating violence against the US and the West, but was nevertheless released for what his lawyer called his "extraordinary" cooperation with the US government.